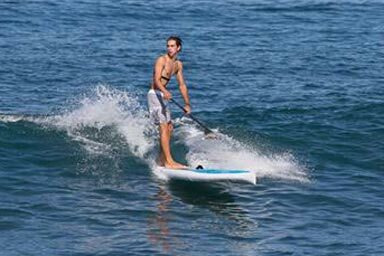 Stand up paddle surfing or stand up paddle boarding is an emerging global sport with a Hawaiian heritage. 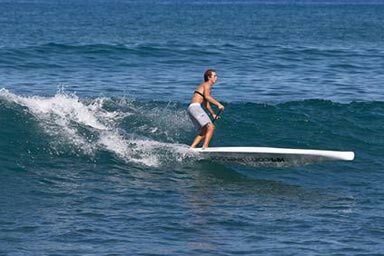 The sport is a recent form of surfing and has emerged as a way for surfers to paddle longer distances. 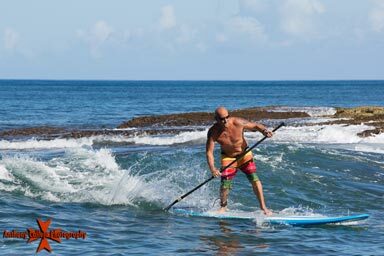 The sport of stand up paddle boarding has, in less than ten years, spread from surf beaches to nearly every other type of watercourse. Races are held on lakes, large rivers, and canals; paddlers navigate river rapids and ride standing waves that are common therein; gliding is the practice of covering long distances along sea coasts, often using tailwinds to aid the trip. 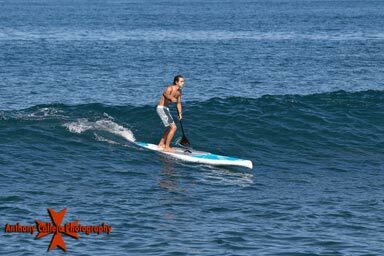 A related, traditional sport, paddleboarding has been done kneeling on a board and paddling with the hands, similar to a butterfly swimming stroke. 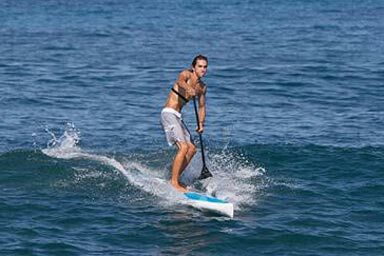 However, using a paddle is now sometimes incorrectly called paddleboarding. Stand up paddlers wear a wide variety of wet suits and other clothing, depending on both water and air temperature since most of their time is spent standing on the board.